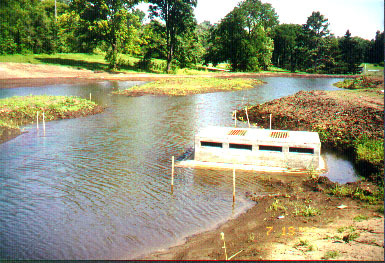 Natural Habitats crews installed over 15,000 wetland plants in this storm water retention wetland. This project was in Adams Park, a public park in Omaha, NE. The stakes indicate water depths for planting (pre-planting picture).